If you look at some of the current reports on the travel trade, and in particular business travel, you’ll see that serviced apartments are increasingly being used for corporate travel stays of more than a couple of days. According to estate agents, Savills, occupancy rates for serviced apartments in London exceeded that of hotels last year. And, in a recent report, the Travel Intelligence Network found that 77% of British business travellers now stay in serviced apartments up to five times a year for trips of up to seven nights. And, of those who stayed in serviced apartments, 79% reportedly preferred them to hotels. So what exactly is a serviced apartment? We are going to create a two-bedroomed serviced apartment, so let’s start by knocking down a few walls. We’ll need to combine at least a couple of hotel rooms to get the space we need. Now add a fully fitted and equipped modern kitchen. This doesn’t just mean a minibar and a kettle, but the full works, just like you’d have at home: oven and hob, microwave, dishwasher, fridge/ freezer, toaster and kettle. By encouraging your staff to shop out and eat in, you will make substantial savings on out of pocket expenses. We could also add a washer/dryer as well as an iron and ironing board. Now your staff will have no excuse for turning up at that important meeting in a crumpled shirt or for running up massive hotel laundry bills. Add a dining area with table and chairs that can double as a board room for meetings, a space to entertain business guests or just for your staff to relax at the start and end of the day. There’ll be no need to pay out for the hire of meeting rooms. And, while we’re talking about relaxation, let’s add a comfortable lounge area with sofa and armchairs, a large screen TV with Sky or Freeview and a DVD player. Bedrooms are critically important, so these should be spacious with a comfortable bed and linen – you could even add another TV, or and a pair of slippers too! Now make sure that each bedroom has access to its own bathroom and toilet. While you can make substantial cost savings by encouraging staff to share accommodation, just forcing them to double up in a small hotel room with one bathroom can be totally counter-productive and add to the stress of being away from home. To complete our serviced apartment, there are some important finishing touches we can make. For starters, let’s get rid of some more hotel expense bogeys and throw in free broadband or Wi-Fi and a free parking space. We’ll add a weekly housemaid service with fresh towels and linen – so make some real savings on our costs. What we have created is the ideal corporate travel accommodation, especially for an extended stay. 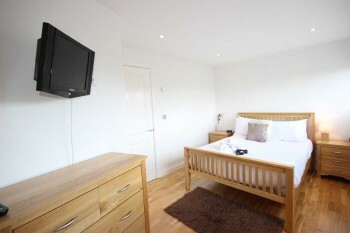 The serviced apartment. 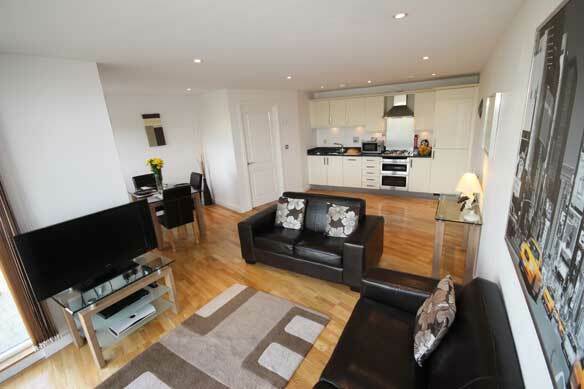 Cotels have serviced apartments located in Milton Keynes, Luton and Northampton – all close to major travel links. 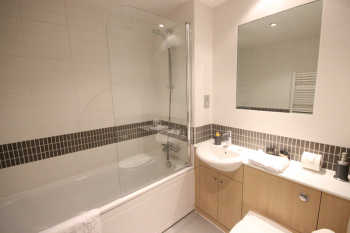 Booking into a serviced apartment is a quick and easy process with no lengthy paperwork required.